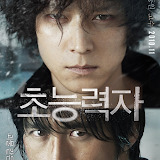 While waiting for new Ko Sooo's film "Gojijeon", I back to my old article of "co-star'. 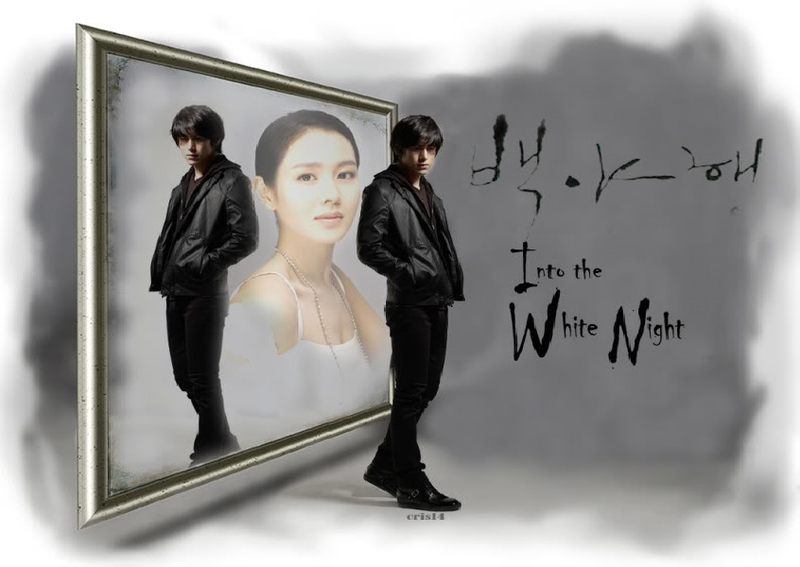 This time I pick : Son Ye Jin, Ko Soo's co-star in "Into The White Night"
Son Ye Jin was born on January 11, 1982. She is one of the famous actress in Asia. If we look at her profile, She's received award almost every year since her debut, from best new talent in "Delicious Proposal" when she was a new comer along the other new comers (who become very famous now), Kwon Sang Wo, Ji Sung and So Ji Sub, until her latest film before she acted with Ko Soo : "My Wife Got Married" (2009) . She made more films than drama, she's even famous as the blockbuster actress, that's the reason perhaps why she was pairing with Ko Soo who's just returned from his military service. I am not a huge fan of Son Ye Jin, but I did watch several of her work. "Summer Scent" is her first drama I have watched along with Song Seun Heon. The rumors that during filming "Summer Scent" both Ye Jin and Seun Heon didn't get along very well. But they do look adorable on the screen. But the most unforgettable films of her is "Moment To Remember", she was pairing with Jeong Woo Seong who is 9 years older than her. Somehow she was pairing with an actor who is much older than her, like Bae Yong Joon in "April Snow", BYJ 's even 10 years older than her. And in the drama "Alone in Love" (this is a must drama to watch) she is pairing with Kam Woo Seon who is 12 older than her. In " Alone in Love"
Son looks good when she's pairing with an actor older than her, but well when she acted along Lee Min Hoo (who is 6 years younger than her) in "Personal Preference", I have this series but I choose not to continue to watch it. She looks like an ahjuma in this drama, and simply ; the chemistry is worse than I expected. 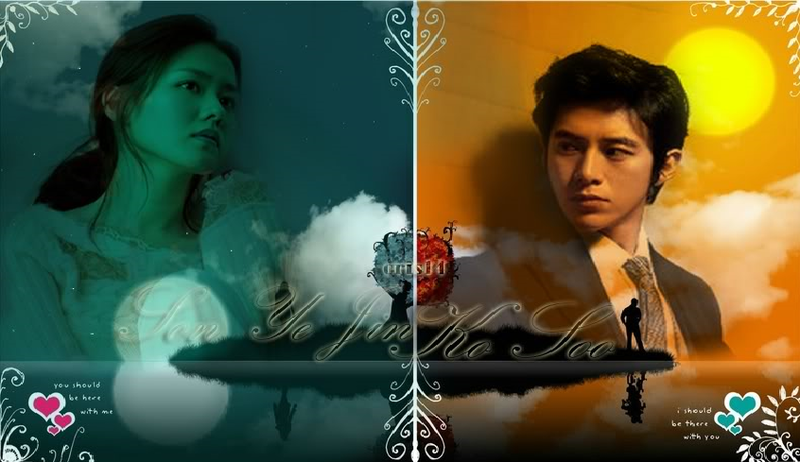 In "Personal Preference" or "Personal Taste"
Next year project for Song is a film : "Chilling Romance" where she will collaborate with Lee Min Ki who is 3 years younger than her. Ha..ha...ha it seems she's pairing with the 'young dude' now, will she becomes another 'ahjuma' ? How about the bed scenes ? When I watch Son Ye Jin movie I need to be aware as much as when I watch Jeon Do Yeon's. They are both beautiful and talented actress but it's true that they almost have bed scenes in every movie they act. I didn't offend it but some warning when you watch their movie with the underage. And how is Song Ye Jin chemistry with Ko Soo? I think is my second rank, they look good together although there is no romantic scene between Ko Soo and her in "Into The White Night". Off screen? many fans like to match her with Ko Soo, but me....I prefer Ko Soo with Han Ji Won....ha..ha..ha I just love her a lot especially in her current drama airing in SBS along Hyun Bin : "Secret Garden".